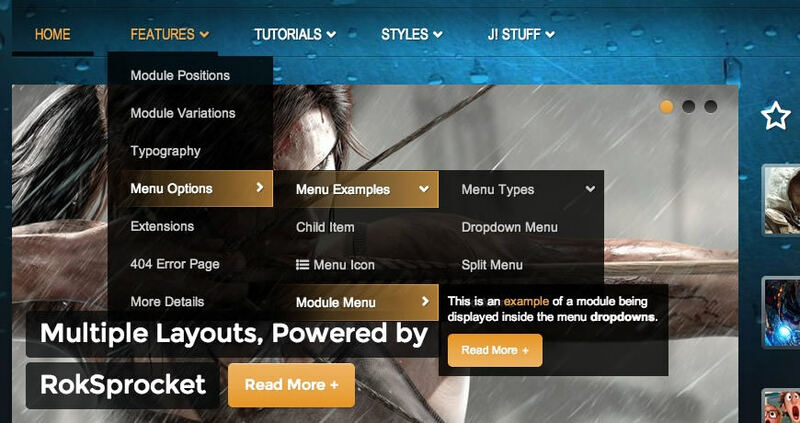 The Dropdown Menu is an advanced CSS drive dropdown menu system. It offers advanced structural features such as multiple columns, inline icons and text, custom column widths, item distribution and menu offset. All of these are configurable for each menu item. All Menu Items can be edited from Admin Dashboard → Appearance → Menus → Menu Item. 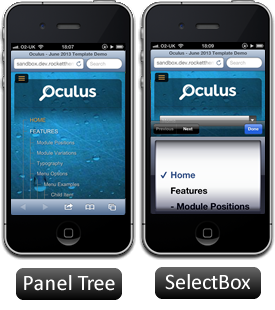 For mobile devices, there are two options, a dropdown panel menu with items in a tree format or a select box using the browsers own UI elements. Chose a format in the template’s style settings. An option to disable the menu, allowing for usage of different menu systems. 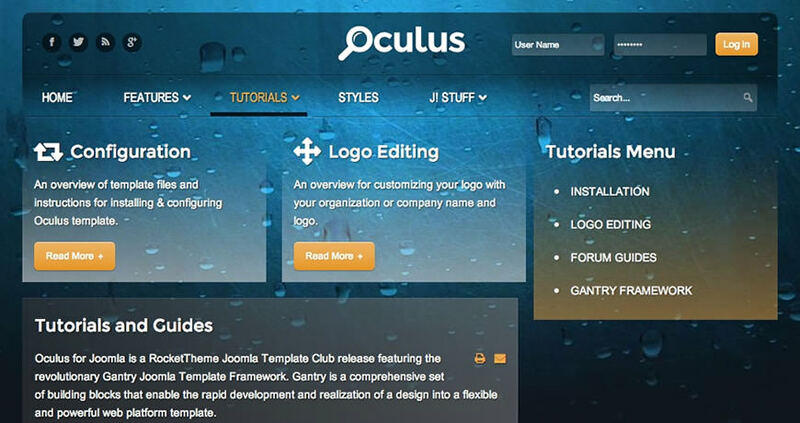 Gantry Menu provides the option to display a small icon image, powered by FontAwesome, for the menu item. The menu icon can be displayed both for the parent items and the child items.